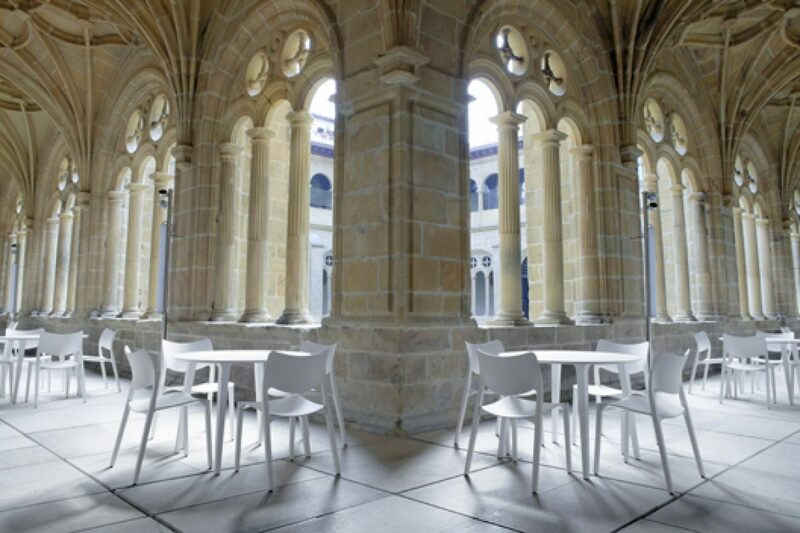 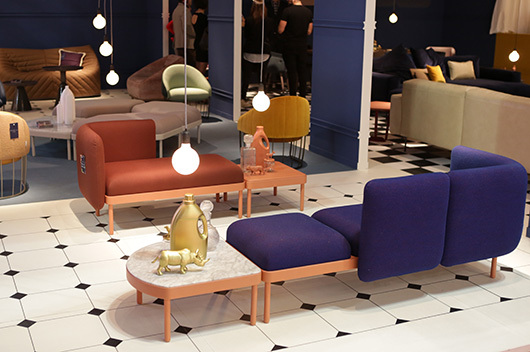 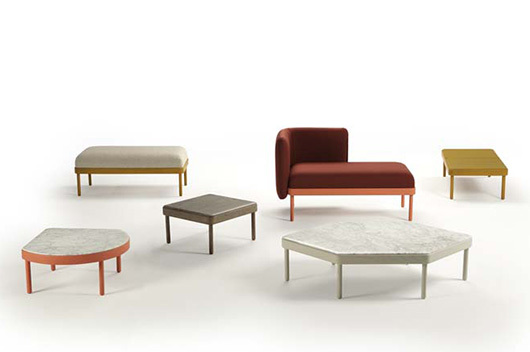 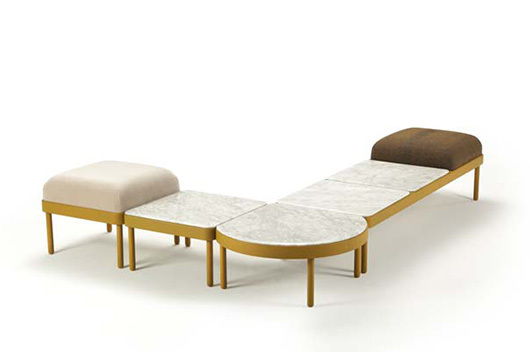 Together with the design studio Yonoh, Sancal presents a unique program of occasional tables and seating solutions. 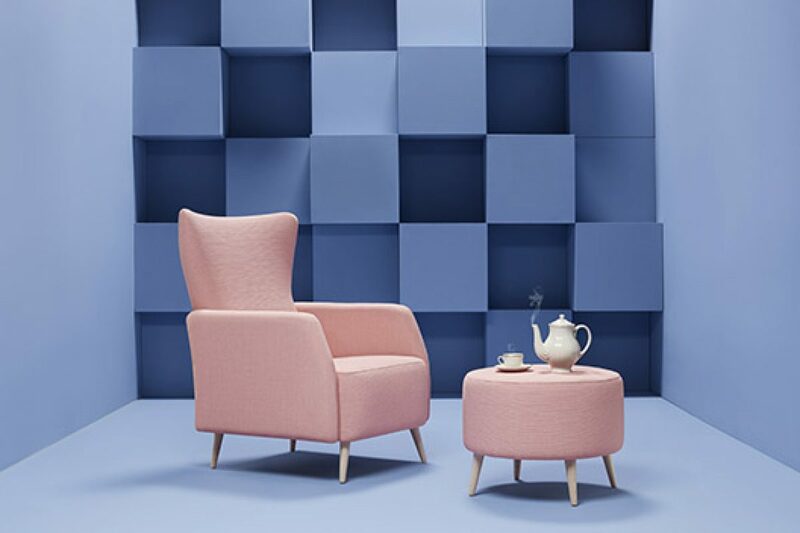 Clara and Alex are both from Valencia, a Spanish city renowned for its ceramic tiles, so it seems only fitting that this provided the inspiration for the piece. 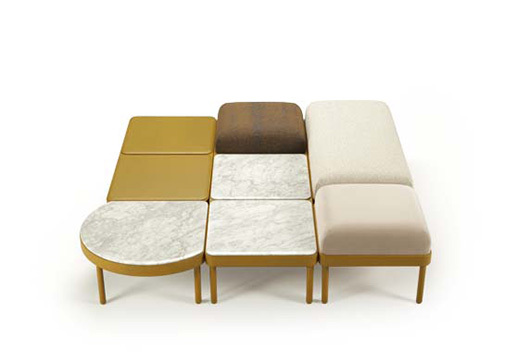 Mosaico is a puzzle that can be used to solve a range of different spatial constraints. 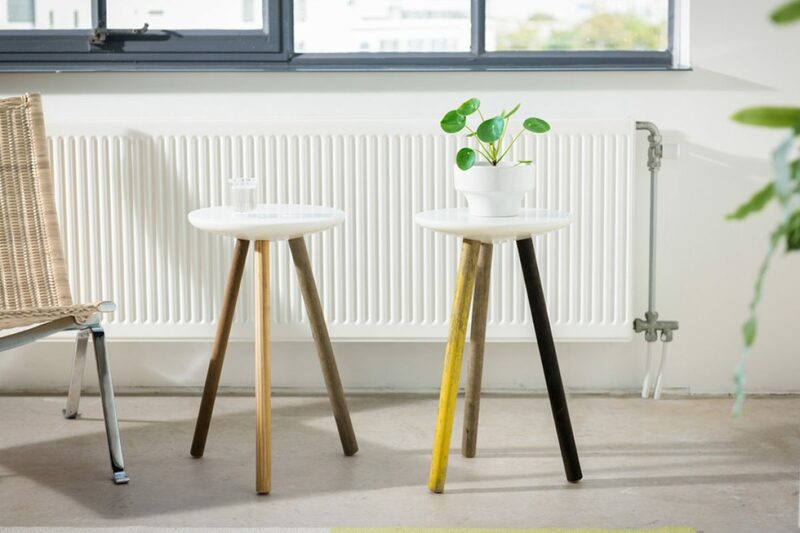 The bases are made of ash and are available in five measurements upon which marble or wooden tops can be fitted as well as upholstered seat cushions. 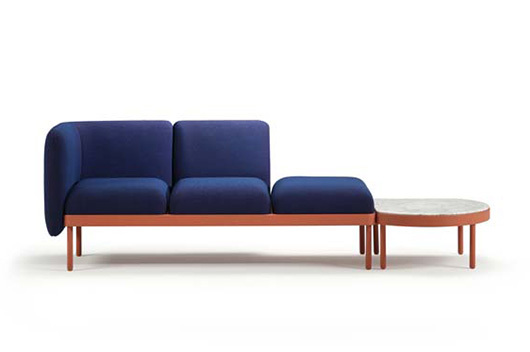 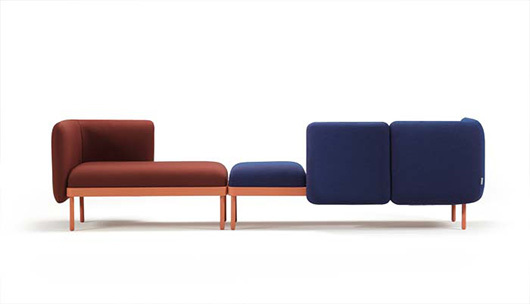 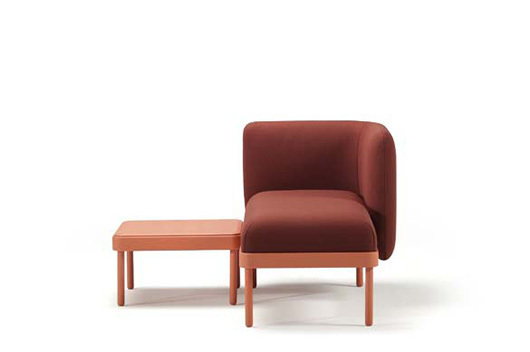 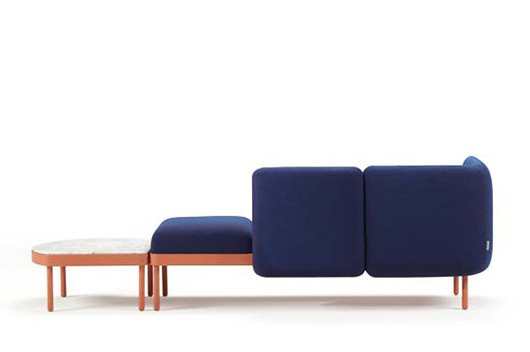 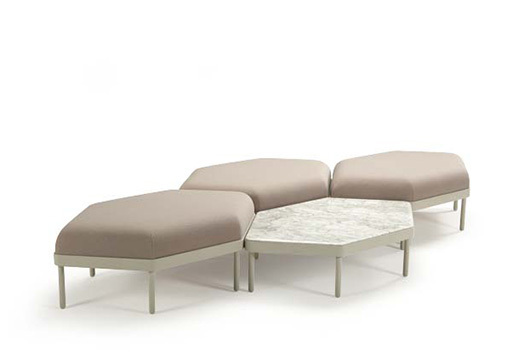 The optional backs enable the pieces to be transformed into mini-sofas. 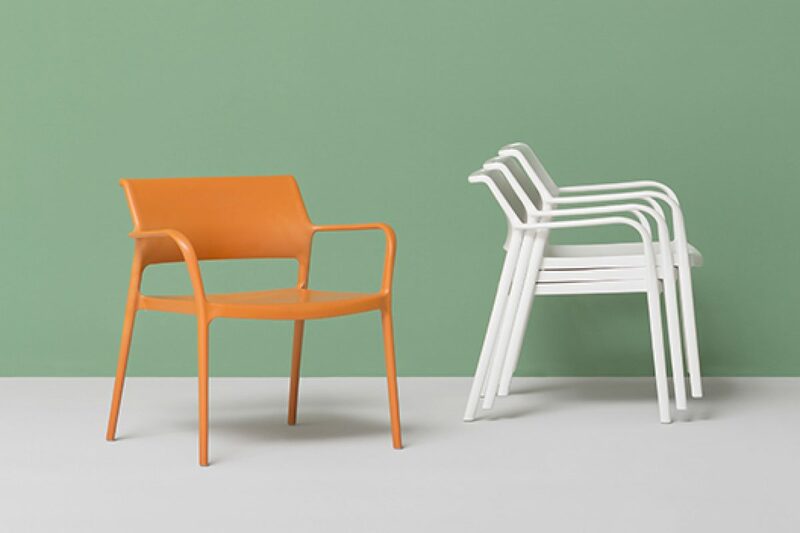 Clara de Portillo and Alex Selma are Yonoh, a young upcoming design studio from Valencia in Spain that is currently on the lips of everyone. 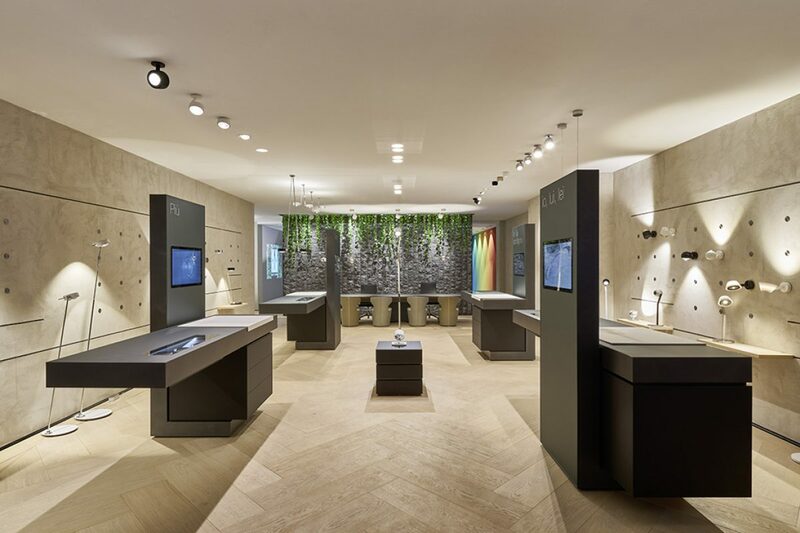 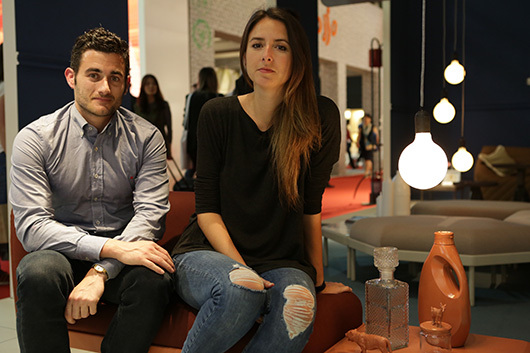 They can feel proud of the beautiful lamps for Fambuena and their award-winning Ombra parasol as well as their creations for Lzf-lamps. 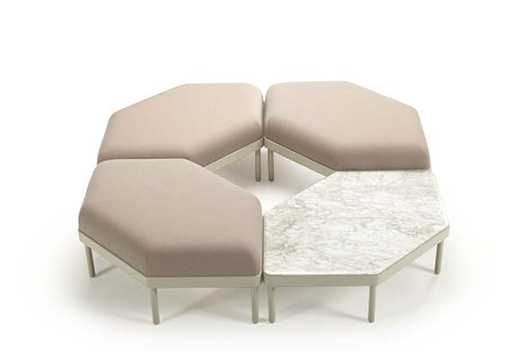 After the success of the Sumo chairs and sofas with Sancal they have returned with the Mosaico table and seating system.